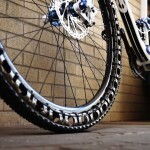 Flats on tires rank among one of the worst nightmares any motorist could face and while technologies have minimized flats from hindering with motorcars’ performance, bicycles have yet to enjoy this incentive, well, actually no. 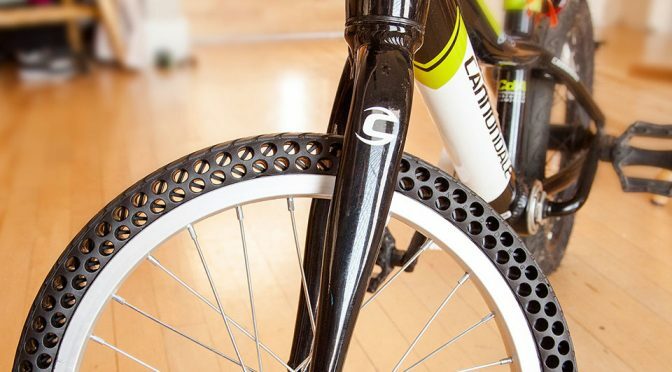 In fact, air-less tires that promised a flat-free biking experience has been around since 2014, but apparently, they are either not stiff enough or has less-than-deal shock absorption. So, there’s gotta be a middle path right? As it turns out, there is, or at least that’s what Utah-based bicycle shop thinks so. Now, here’s the thing. Either my comprehension fails terribly or this entire thing is a little sketchy. 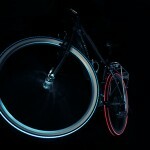 It was not clearly explain but the essence of this project is, these guys have two air-less tires solution for you. 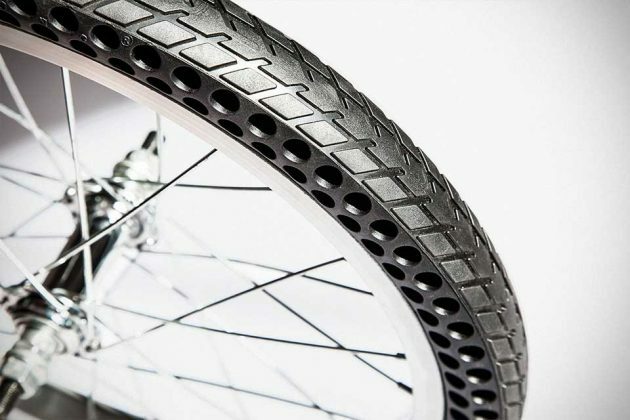 The first is called Ever Tires, which basically resembles the heftily priced but a little more high-tech Britek tire, and the second is Nexo, a foam-like tire that looks like Tannus Tire’s Aither 1.1. So, yea. 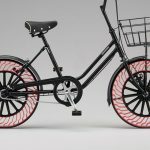 Basically, air-less tires have been around, but the pitch here is, Nexo and Ever Tires are more affordable, made of a single material which makes them highly recyclable, lightweight and durable. And then there’s the patented polymer blend that touts a perfect balanced between cushion and resilience, as well as durability. Nexo, which is available in a variety of sizes, can be fitted to most existing wheels with ease – thanks to its patented T-bolt technology and has a 3,100-mile rating, while the Ever Tires, which come in as complete wheel set, is good for up to an astounding 5,000 miles. 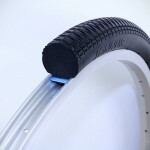 As mentioned earlier, what this Kickstarter endeavor proposes is not first, but it don’t hurt to have competitions which can help spur further innovations and also make such tires more affordable. 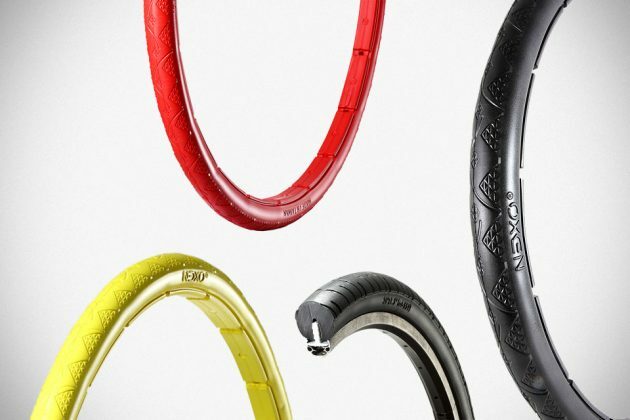 Speaking of pricing, the Nexo Tires goes for $75 for a pair while Ever Tires costs anything between $76-105, depending on the wheel size your are after. Whichever you opt for, the price seems reasonable enough, especially considering you will never need to mend punctures or replace tires for a very, very long time and with tons and tons of bike tires and tubes heading to the landfills each year, you’d also be doing this little blue marble of ours a great favor too.